Did you know liposuction is the second most popular surgical procedure in 2017, with 246,354 procedures performed in total? This figure is a 5% increase from the statistics from 2016, which proves that many still trust this process to achieve their goals or solve medical problems. With all the recent technology that makes liposuction even better, we can see where they're coming from. However, what makes it less accessible than what people would like it to be is the liposuction cost. We're talking about thousands of dollars, which is a small price to pay for confidence for some people. After all, a little boost in confidence can make every life a whole lot better. If you're thinking of undergoing the procedure, here's all you need to know about the costs. What is the Average Price of Liposuction? The most popular body part that undergoes the procedure is the abdomen, and it's also the most expensive. It can cost $3,000 to as much as $7,000. Liposuction in the buttocks and chin cost at least $2,500 and up to $4,000 and $4,500 respectively. The average cost of liposuction in arms, inner thigh, outer thigh, or the hips or waist is about $2,500 to $5,000. Some clinics and surgeons might charge lower or higher than the average. The price also depends on several factors and on your specific condition. Keep in mind that your health insurance can also affect the final price. Clinics and doctors don't have a set price on Las Vegas liposuction. They consider various things before they can give you an estimate. Here are the factors they take into account when deciding on the pricing. The area that will undergo the procedure has a big effect on the price. It usually depends on how big the area is. For example, a liposuction in the arms would cost less than an abdomen procedure in the same clinic. However, smaller doesn't always mean cheaper. Removing fat from the chin might be harder than from the hips. 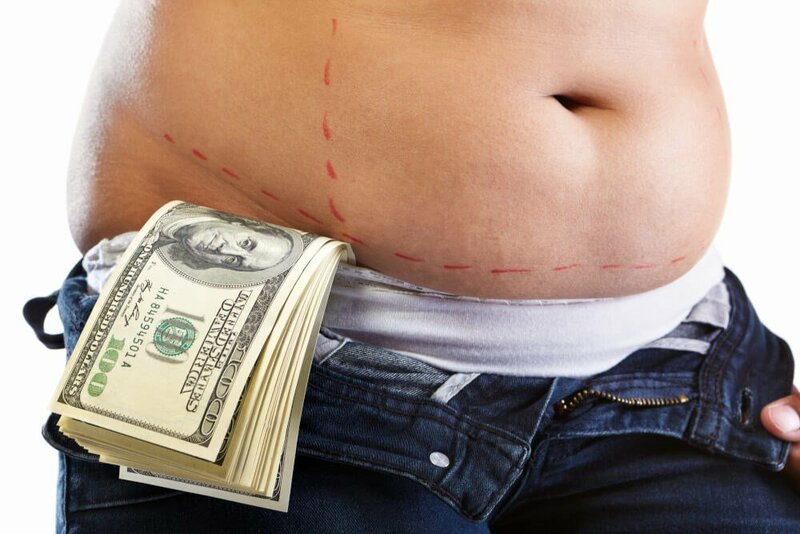 Liposuction in both areas might end up having the same price. The more areas, the higher the price. Liposuction limits the amount of fat that the surgeon can remove in one session to 11 pounds or so. However, this doesn't apply to every patient. Surgeons will remove the maximum amount of fat they can remove whenever possible. Don't worry, the doctor will adjust the final price based on the amount of fat they removed from your body. During the assessment, the surgeon will also anticipate the degree of difficulty of the procedure. Although the process should be the same, the time and effort are different for every patient. For example, a patient who was previously obese and then lost weight will have more fibrous fat, making liposuction more difficult. Prior abdominal liposuction might also cause fibrosis and scarring in the fat directly under the skin. This also causes subsequent operations to have a higher degree of difficulty. To have a more accurate estimate, be honest in your medical history. This would also help the doctor assess your condition and possible risks better. Surgeons typically perform liposuction with general anesthesia, which makes the patient fall asleep during the procedure. It can cost $300 and upward per hour, and more so if an anesthesiologist administers it to the patient. In some cases, a local anesthesia might be enough, especially for treatment in smaller areas. You'll be able to save if so, but not every clinic and surgeon does it or recommends it. It only makes the area numb while you stay awake for the procedure. If the patient isn't sleeping, it may be harder for the doctor to reach all the areas. Most patients would rather stay asleep during the procedure, too. Some liposuction procedures cost more than the other because of two factors: the technology and required expertise. Traditional liposuction involves the use of a cannula, a tube that the doctor inserts in the target area. They move it back and forth to loosen the fat cells, which it then suctions to remove them from the body. Another type of liposuction might use ultrasonic energy to help loosen fat cells. This would use a different and more expensive machine, and it would require the doctor to have the knowledge and training to operate it. These would factor into the liposuction cost. Some surgeons have been doing liposuction for a good part of their career, while some may only be doing this for a couple of years. If the surgeon's name has also become synonymous with great results, you can expect that they will charge higher than a novice. If you want only the best pair of hands to remove the fat in your body, you'll have to pay more. The reputation and the name of the clinic itself has an effect on the price as well. A renowned clinic would charge a higher fee than others. The location is a factor, too. A local clinic in your town will tend to be cheaper, but don't expect the same level of technology and expertise as in clinics in the city. Liposuction cost differs for every patient, so it's best to set up an appointment in person. Don't ask on the phone or through email. The person on the other end will only be able to give you a ballpark figure. If you show up in person, the surgeon can better assess how much it's going to cost you based on the factors above. Interested? Contact us now and schedule a visit with us for any inquiry. Let's discuss your goals and how you can better achieve them.